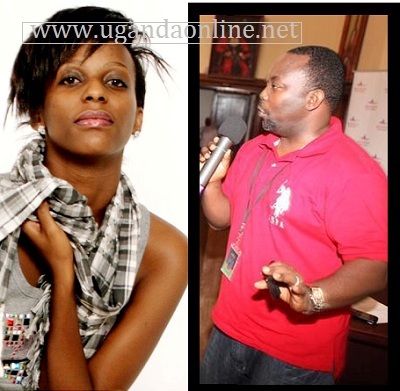 We recently told of how a row had erupted between the Spirit of Africa boss Richard Kaweesa and the Tusker Project Fame 2 winner Esther Nabaasa aka Estar over the official Uganda Jubilee song, Yoga Yoga Uganda. Richard dashed to her wall to post this: "When a thief steals from you and then invites you to come to a public function to witness his ownership claim of what he stole from you; and you actually turn up and say nothing; then I consider you hopeless!" This very post got a response from a one Abok Jean Joan who wrote: "She might have said nothing because she respected you as her elder in music and didn't want to ashame you in public." Kaweesa replied: "Know the facts about the project before you comment with an emotional high. I have worked with almost every musician and I have helped many become great across East Africa. Why would I give Estar a chance and then take it away?" In 'Yoga Yoga Uganda' and 'Sip from the Nile' which Estar composed for Nile Breweries to celebrate 50 years, her fans have once again got the opportunity to hear from her. Estar's first album was titled Rock in Country Soul which she launched in South Africa and since then, she has been taking care of her family.